TIME BEFORE YOUR ITEM SHIPS. The #1 Selling Insulation Kit on the Market! 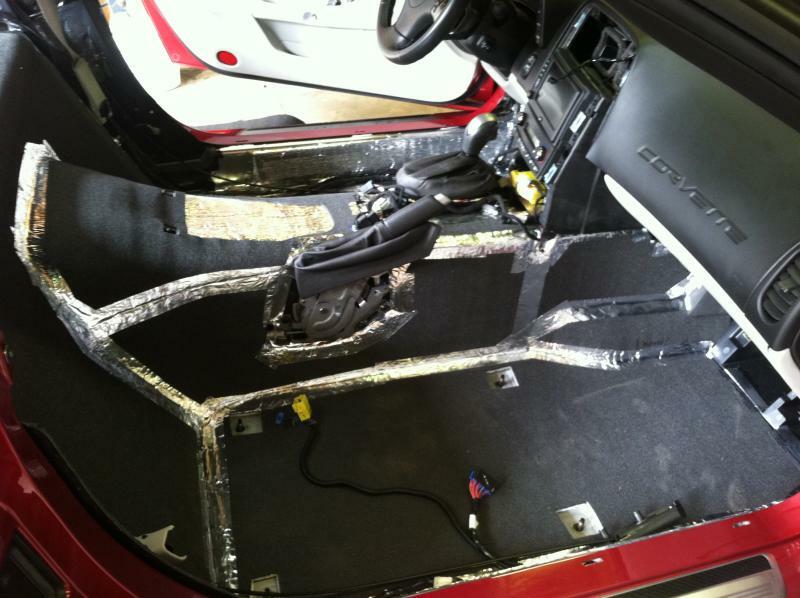 The C6 Pre-cut Insulation kit comes with everything you need to insulate and provide sound deadening in your Corvette, including Pre-cut pieces for your doors. Other kits on the market provide a similar product, but do not provide pre-cut pieces for your doors and storage bins, which allow road noise to be present in your front and rear cabin. 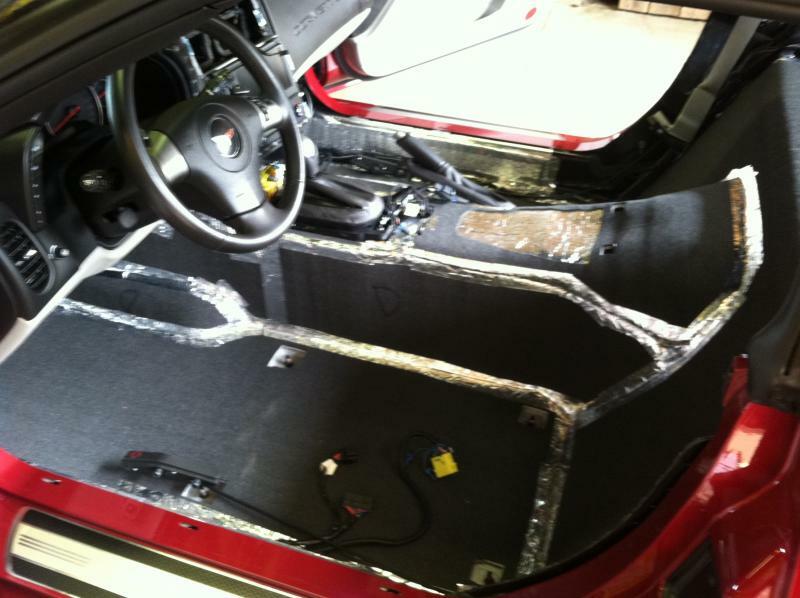 Our kit gives you everything you need to COMPLETELY insulate your C6 Corvette. It is only 3/16" thick, so as not to interfere with proper mounting of your panels and seats, and all holes are pre-cut & all pieces are clearly labeled for your convenience. It is our #1 goal to provide you ease of install, while making a HUGE improvement in your overall enjoyment of your Corvette!!! Each kit is hand cut to our specifications, and guaranteed to make a dramatic difference in your C6! Driver & Passenger front floorboard pieces, with holes cut for seat bolts and pedals. Full center console pieces, with holes for the center console bolts. Driver & Passenger side Door Panel pieces. Full back wall and corner pieces. Full Center Well pre-cut pieces. Extra pieces for odds and ends coverage that you may need. Say goodbye to over-heated center consoles, and noisy front cabins!! Our C6 kit is the perfect addition to your C6, and is recommended for every Corvette owner as the #1 modification for their Corvette!!! 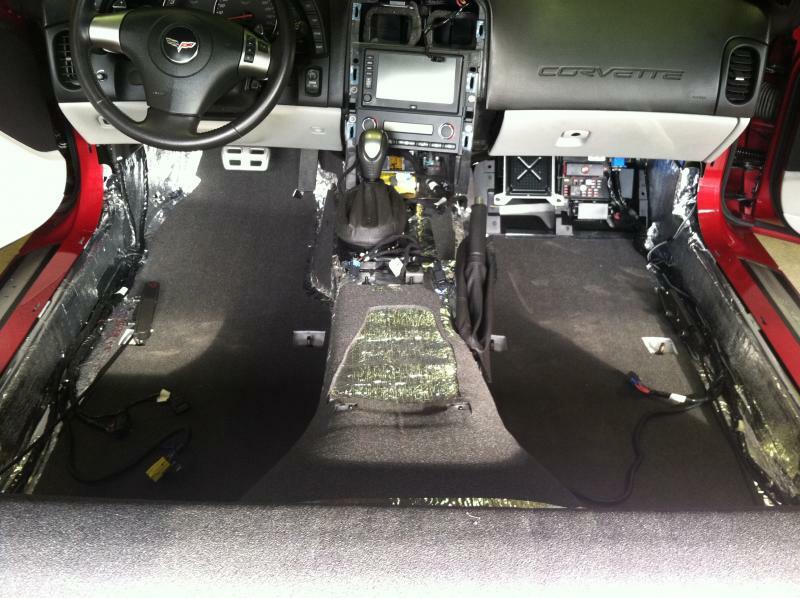 Your Corvette will be cooler in the summer, a lot less noisy, and you will regain use of your center console once again. A lot of research and development has gone into this kit, and we are proud to say that our kit is made to our demanding specs, in house, and cut off of our own templates. Here is another great Insulation package from VetteNuts. It is a peel and stick Ensolite IUO insulation material. This was designed by NASA for the space program.This is a very high grade foam/adhesive combination that will handle high heat, is fire retardant just like regular IUO and is stretchable enough for easy install. It resembles a wet suit material.This kit will make a huge difference in heat and road noise while adding only 3lbs to your Vette. This kit includes every section above, the Ensolite is applied on top of our Standard kit making it one kit. All sections are clearly marked for ease of installation. We do not include the kick panel sections. This makes the area to thick to reinstall the plastic kick panels when using both kits.